359 Beacon is located on the south side of Beacon, between Fairfield and Gloucester, with 357 Beacon to the east and 361 Beacon to the west. 359 Beacon was designed by architect Carl Fehmer and built in 1885-1886 by James Smith, mason, one of two contiguous houses (357-359 Beacon) designed as a symmetrical pair. 357-359 Beacon were built on a 38 foot wide lot purchased by insurance broker Henry Rogers Dalton on June 3, 1885, from Augustus N. Loring, who had assembled it from two separate lots, one 24 feet wide and the other 14 feet wide. Both were part of one of several parcels originally purchased from the Boston Water Power Company on January 29, 1866, by a real estate investment trust formed by John Templeman Coolidge, Franklin Evans, and Charles Henry Parker. The trust had subdivided the property into lots, which it sold to investors and builders, who then frequently resold the lots to others. Click here for an index to the deeds for 359 Beacon. Henry Dalton built his home on the eastern 20 feet of the lot at 357 Beacon, and on August 14, 1885, he sold the western 18 feet to his brother, Charles Henry Dalton. Charles Dalton and his wife, Mary (McGregor) Dalton, lived at 33 Commonwealth. 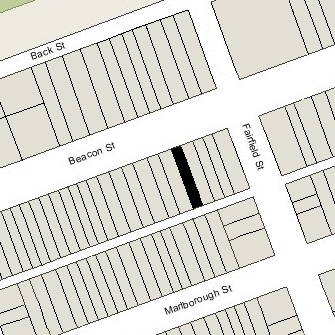 On April 3, 1886, Albert Stone purchased the 18 foot lot from Charles Dalton and built his home at 359 Beacon. He is shown as the owner on the original building permit application, dated April 21, 1886, and on the final building inspection report, dated November 13, 1886. By the 1886-1887 winter season, Albert Stone and his wife, Anna H. (Putnam) Stone, had made it their home. They previously lived on Bellevue Avenue in Dorchester. Albert Stone was a boot and shoe manufacturer in partnership with his brother, Edwin Palmer Stone, until 1901. They subsequently became real estate investors and trustees, and, by 1904, Albert Stone also was vice president of the Bank of the Republic. 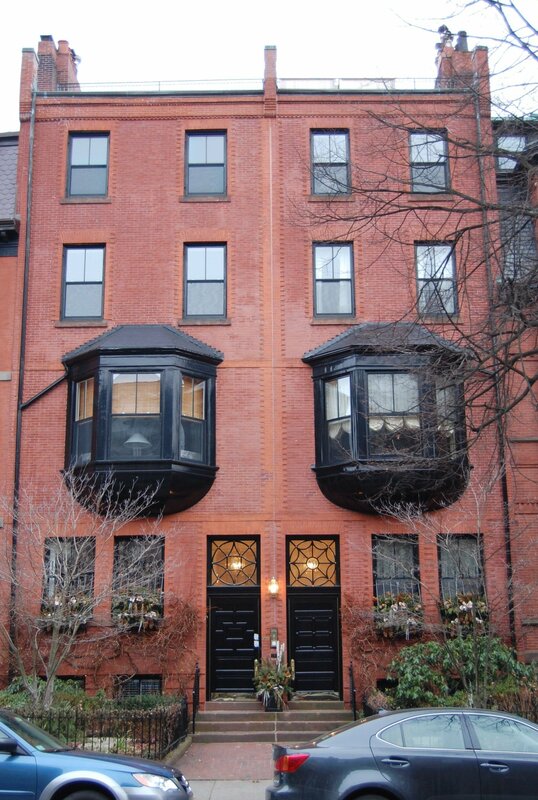 The Stones continued to live at 359 Beacon until about 1903. By 1904, they had moved to 152 Bay State Road. On July 20, 1903, 359 Beacon was acquired by Clara Olivia (Leland) Stone, the wife of Albert Stone’s brother, Edwin. They previously had lived in Brighton. Their two adult children, Ethel Florence Stone and James Sidney Stone, lived with them. Ethel Stone married in May of 1908 to William H. Hughes, a mechanical engineer from Philadelphia. By 1910, they lived in Haverford, Pennsylvania. James Sidney Stone, a lawyer married in June of 1912 to Dorothy Coburn. After their marriage, they lived at 52 River. Edwin Stone died in 1914. Clara Stone continued to live at 359 Beacon. By the 1927-1928 winter season, she had been joined by her sister, Mary Amory (Leland) Loring, the widow of Rev. Richard Tuttle Loring, who had died in 1926. He had been Rector of St. John’s Church in Newtonville. Mary Loring continued to live with Clara Stone until about 1933, when she moved to New Bedford. Clara Stone continued to live at 359 Beacon until about 1937; by 1940, she was living in Wayland with her son and daughter-in-law, James and Dorothy Stone. 359 Beacon was shown as vacant in the 1938 and 1939 City Directories. On September 2, 1939, 359 Beacon was purchased from Clara Stone by John Philip Manning, a salesman, and his wife, Marion C. (McDonald) Dutton Manning, who operated it as a lodging house. They previously had lived at 82 Jersey. In July of 1940, the Mannings acquired 357 Beacon, which they also operated as a lodging house. In December of 1940, John Manning filed for (and subsequently received) permission to convert 359 Beacon from a single-family dwelling into a lodging house, legalizing its current use. The Mannings continued to live at 359 Beacon until about 1943. On May 4, 1943, the Franklin Savings Bank foreclosed on its mortgages to the Mannings, who had declared bankruptcy, and took possession of 357 and 359 Beacon. On June 28, 1943, 357 and 359 Beacon were acquired from Franklin Savings Bank by real estate dealer Edward Swartz. He and his wife, Lena (Rothman) Swartz, lived in Watertown and later in Belmont. 357-359 Beacon continued to be operated as lodging houses. In December of 1953, he applied for (and subsequently received) permission to cut through doors in the party wall between 357 and 359 Beacon. Edward and Lena Swartz divorced in the early 1950s, and on July 7, 1961, he transferred 357-359 Beacon to her. She remarried to Sydney D. Zion, and on April 17, 1967, she transferred the properties back to Edward Swartz. 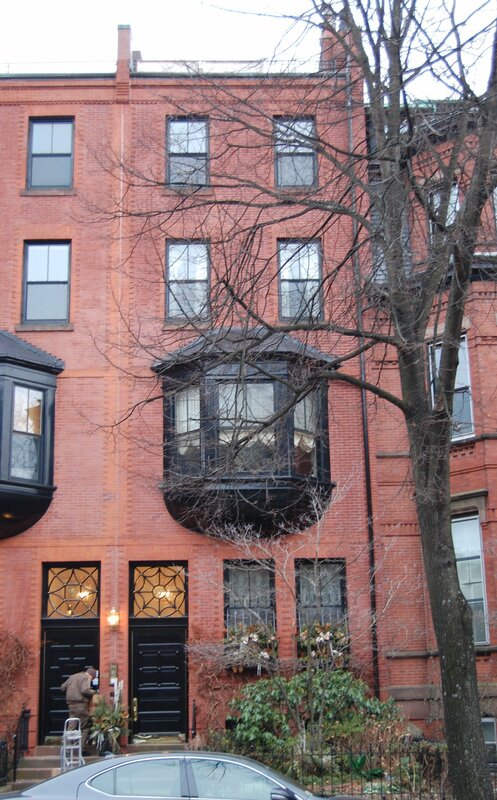 By 1971, he had leased 357-359 Beacon to Emerson College for use as a dormitory. Edward Swartz died in May of 1972 and the property continued to be owned by his estate. 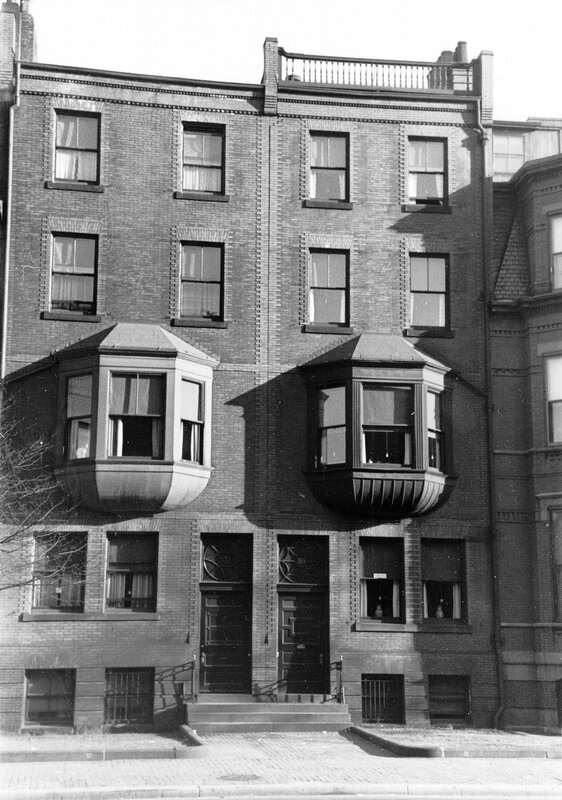 In July of 1981, it filed for (and subsequently received) permission to combine 357 and 359 Beacon, converting the combined building into eight apartments. On September 16, 1981, 357-359 Beacon were purchased from Edward Swartz’s estate by Jonathan G. Davis, trustee of the Three Fifty Seven Realty Trust. On December 15, 1982, he converted the properties into seven condominium units — four units at 357 Beacon and three units at 359 Beacon – the Three Fifty Seven Beacon Condominium.